SpecialEffect, the UK charity that specialises in helping people with disabilities enjoy the fun and inclusion of video games, has announced the total amount raised from its One Special Day 2017 fundraising event on 29 September 2017 is £446,000. The charity’s largest fundraiser of the year, where partners from the games industry gave either 100% of UK or worldwide sales on 29 September, will help its team of occupational therapists and technology specialists to meet the increasing demand for their experience and expertise over the coming months. Dr Mick Donegan, Founder and CEO of SpecialEffect said, “The money raised from One Special Day is a huge financial boost to SpecialEffect. It will enable us to take on the extra staff we need to help even more severely disabled people all over the world to play the games they love. “The money raised from One Special Day 2017 will go towards employing two additional clinical staff to join our growing team of occupational therapists and technology specialists. The One Special Day event, which attracted worldwide attention and very positive publicity including a tweet out from reality mega-star Kim Kardashian, is set to take place again on 28 September 2018 with a significant number of the One Special Day 2017 partners already committed again this year. If you’d like to find out more about how your company can take part in One Special Day 2018, contact Nick Streeter at nick@specialeffect.org.uk or catch up with the charity at PGC London and Games Forum London. SpecialEffect announced today that the games industry partners involved in their One Special Day fundraising event have so far raised a total of over £300,000 for the charity. Revenue from game sales and in-game purchases in the UK – and in some cases worldwide – has helped smash the charity’s £100k target for the event. Over £250k of the total was raised by the mobile games industry partners and their communities. Many companies also contributed through game-themed events, gaming auction items and livestreams before or during the fundraiser on 29 September. All the money raised will go towards SpecialEffect’s work in creating ways for people with physical disabilities to experience the fun and inclusion of video games. The industry partners involved in the event were Seriously, Unity, Supercell, SEGA, Double Fine, Codemasters, Rovio, Playdemic, Yogscast, Space Ape, Nordeus, Twitch, Ripstone, Frontier Developments, First Touch Games, Bossa Studios, EA Mobile, 505 Games, New Star Games, Boombit Games, Bungie Foundation, The Chinese Room, Curve Digital, Playground Games, Ubisoft Reflections, Firefly Studios, GAME, Nomad Games, MAG Interactive, Zeptolab, eRepublik Labs, Everywear Games, Lightneer, Payload Studios, Sumo Digital, Fresh Planet, Cooperative Ventures, Future plc, Gamesindustry.biz, nDreams, London Studio (Sony), PlayRaven, Prettygreat, Dots, Futureplay, Glu, Halfbrick, Digital Legends, SOVR, Rare, Insert Coin, Remedy Entertainment, NaturalMotion/Zynga, SEGA Hardlight, Plan of Attack, Yakuto, Tactile Entertainment, UKIE, Rebellion, Bandai Namco, Sports Interactive, Creative Assembly, Tundra, Humble Bundle, EA, Escape Technology, Razer, Dingit.tv, Fingersoft, Make Real, Jam City and Disruptor Beam. The charity plan to announce a final fundraising total at the end of October, and the date for One Special Day in 2018 has been set for Friday 28 September. Gamers’ charity SpecialEffect and social video platform Twitch are putting the finishing touches on a truly special eight-hour livestream as part of One Special Day. One Special Day is a fundraising day organised by SpecialEffect to benefit gamers with disabilities. Set for broadcast from Twitch’s London headquarters and streamed live on Twitch (twitch.tv/specialeffectteam) from 2-10pm on Friday 29 September, the event features popular Twitch creators, games, and new technology tailored for disabled gamers. Amongst the growing list of Twitch Partners already confirmed are Cyborgangel, xLindsayJane, Meganyyy, LeahLovesChief, KellyJean, Fremily, AOAATube, B0aty, Jay1fifaking, and PhantomSFX. They will be playing a wide range of popular titles, including Overwatch, Destiny 2, PUBG, Runescape, and new release FIFA 18, as part of the charity’s One Special Day campaign. In addition, the stream will feature exclusive content from The Yogscast (including SpecialEffect Vice President Mark Turpin) and Hat Films, who have created a series of ‘stretch goal’ videos to encourage donations. Other activities planned for the broadcast include live demonstrations of some of the technology used by SpecialEffect in their work with severely disabled gamers. The featured Partners will have opportunity to play their favourite games using adapted controllers, to give them and their viewers a better appreciation of how the charity makes gaming more accessible for hundreds of people with disabilities across the country. This will include an ‘eye-gaze’ lap-time competition running on Forza Motorsport 6: Apex, where guests will compete to set the fastest time using only their eyes to control the car on screen! The stream will also include a host of highly desirable giveaways, including a full-size replica of the Tex Mechanica foundry’s “The Last Word” hand cannon, a concept 3D model created for the Destiny game by the talented Eric Newgard at Impact Props (courtesy of the Bungie Foundation). Last year, One Special Day raised almost £100k towards SpecialEffect’s work. 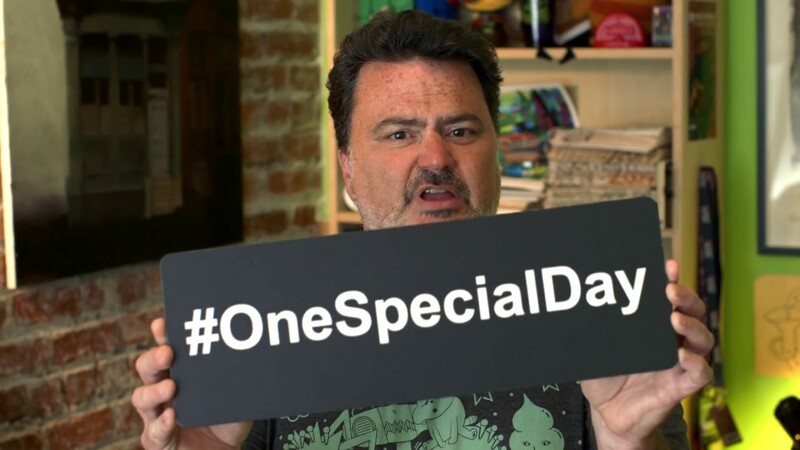 ​Tim Schafer, critically acclaimed games designer and Founder of Double Fine Productions, has backed SpecialEffect’s tenth anniversary One Special Day fundraiser with a video call-to-action to the games industry. Schafer, a Vice-President of the charity that helps some of the world’s most severely disabled people enjoy the fun and inclusion of video games, has urged other CEOs and decision makers in the video games industry to follow his lead and get behind the One Special Day initiative. Leading names from the industry such as EA, SEGA, Twitch, Seriously and Humble Bundle are amongst the companies that have already backed SpecialEffect and One Special Day. Many more are expected to follow suit in the run up to the event on Friday 29th September. SpecialEffect, widely known as the gamers’ charity, is supported by gamers and gaming communities all over the world. One Special Day is an opportunity for the industry to stand with those who play their games and build on the £100,000 raised in February by gamers in the SpecialEffect ‘GameBlast’ event. SpecialEffect is asking for games companies to give their revenue on specific games or in-game purchases on 29th September, provide rare/collectible items or experiences for a special eBay auction or stage a fundraising event of their own to support the charity. 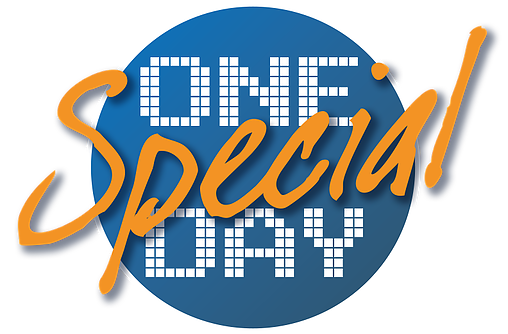 Ripstone are supporting SpecialEffect by donating 100% of their sales towards the One Special Day initiative on 15th July 2016. Ripstone will donate takings from across their entire catalogue of games including DLC on all platforms they publish on, including Steam, PlayStation®4, Xbox One, and mobile. 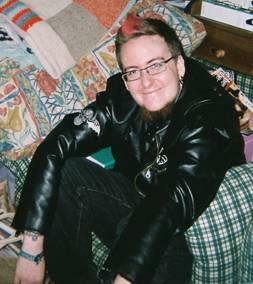 SpecialEffect’s mission is to enable anyone, whatever their physical disability, to enjoy video games. They’ve launched the ‘One Special Day’ initiative on 15th July to encourage the games industry to be loud and proud about levelling the playing field for gamers with disabilities. The Yogscast have joined the growing number of games industry companies who’ve signed up for SpecialEffect’s One Special Day charity initiative. One Special Day, which will be held on 15 July, is an opportunity for companies to donate 100% of revenue in one or all areas of their business; for example a day’s sales of one or more games, or 100% of advertising revenue, in-app purchases or DLC. Video games community announce One Special Day to support gamers’ charity SpecialEffect. Leading games publishers First Touch Games and New Star among the first to pledge 100% of their daily revenues to support charity initiative. Some people would give everything to play video games. On 15th July 2016 some games companies are giving everything to help them. The One Special Day initiative will enable games companies of all shapes and sizes to give everything to help SpecialEffect level the playing field for gamers with disabilities. On that day, games companies can donate 100% of that day’s sales of one or more of their games, or 100% of their advertising revenue, or 100% of the in-app purchases or maybe 100% of their DLC. Or it could be 100% from a dedicated activity or promotion. Or 100% of something else! As well as games developers and publishers, SpecialEffect will be working with well-known YouTubers and Streamers to highlight and promote all the games that are part of One Special Day. Other companies who have backed the initiative so far include Ripstone Games, Nomad Games, Tag Games and nDreams.